While you can get the flu any time of year, the winter season is when this illness spreads the most. And last year’s flu season was the worst one in decades. According to the Centers for Disease Control and Prevention (CDC) and The National Institute for Occupational Safety and Health (NIOSH), annual direct costs from hospital and doctor’s visits in the U.S. are an estimated $4.6 billion. The flu also causes employees in the U.S. to miss approximately 17 million workdays. This comes to an estimated $7 billion a year in sick days and lost productivity! How can I help prevent the flu from running rampant in my facility this year? Get a flu vaccine. Every flu season is different, and influenza infections affect people differently regardless of health. An annual flu vaccine is the best way to reduce the risk of getting the seasonal flu and spreading it to others. Share with your tenants this CDC website link, which has some key facts of influenza along with recommendations of the type of vaccines to get. Remind everyone of the importance of personal hygiene. Frequent hand washing, especially before certain activities is one of the best ways to remove germs, avoid getting sick and prevent the spread of germs to others. It’s also important to remind all building occupants to cover their nose and mouth when coughing and sneezing. 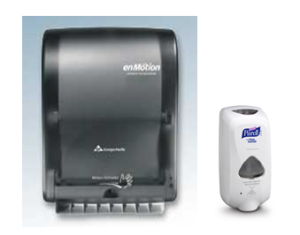 Installing touchless hand towel dispensers and hands-free soap dispensers are great ways to reduce employees’ exposure to high-touch items in your restrooms and kitchens. Also, placing a trash can by restroom doors can encourage building occupants and visitors to use a paper towel to open the door versus their hands. Remind tenants to have a plan in place for employees who are sick. If an employee is not feeling well, he or she should not come into work. And if an employee is not feeling well at work, then it is best for them to go home and see a doctor. This is by far the most important communication to send to your building occupants. What if I want more prevention measures than these, or I have a flu outbreak running rampant in my facility? What do I do? There are options and technologies available today that can be added to your daily cleaning régime that will give you greater protection against outbreaks of illness and disease. 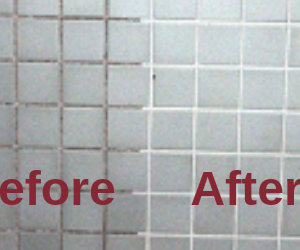 Mister Kleen has an efficient and cost effective solution for total facility disinfection that helps: kill 99.9% of bacteria, flu viruses, MRSA and norovirus; eliminate odors; and sanitize surfaces. Don’t get blindsided by the flu this season. Incorporating these tips can dramatically reduce your chance of the flu taking over your facility. 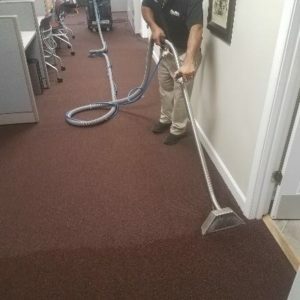 And should you have questions about our flu cleaning procedures or would like to have a facility disinfection for the flu performed, contact us here.